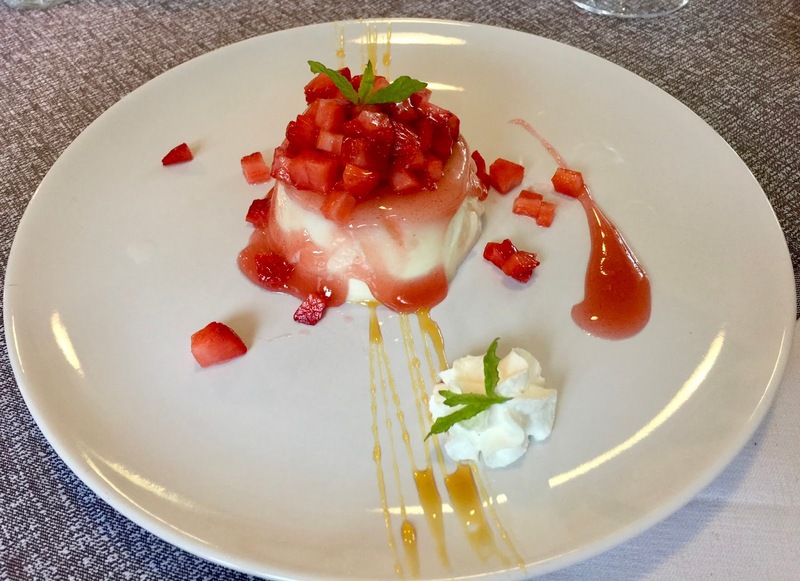 The philosophy of the chef is it to offer newly interpreted traditional Italian food and – based on my experience as guest in his restaurant – he succeeds in doing this! The menu is quite comprehensive, but not overloaded. There is everything from antipasti, soups, salads, risotto, fresh (!) pasta, pizza, fish, meat (only beef) to desserts. 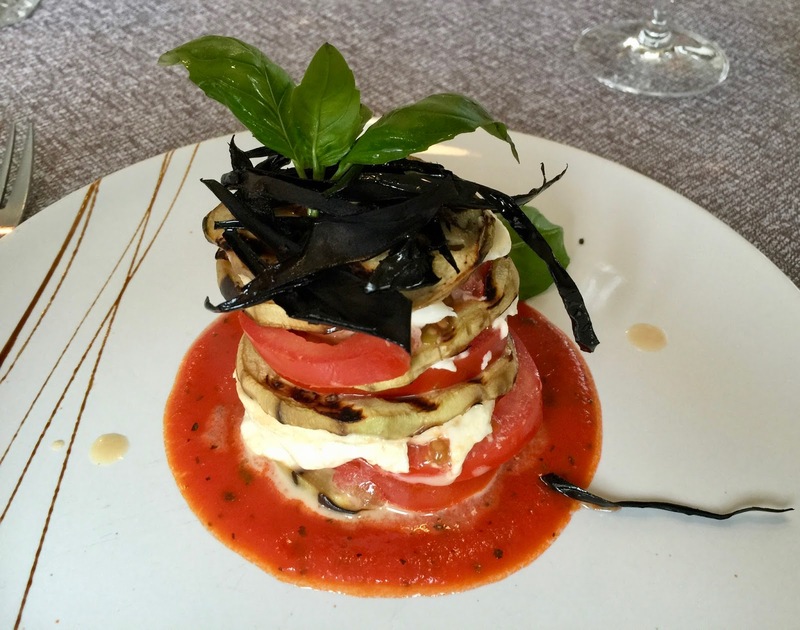 This may sound as Karma is the typical Italian restaurant, but it is more than this. When reading the menu you notice the chef’s signature. To illustrate this there is a fish dish of prawns perfumed with orange and served on a bed of fennel carpaccio with roasted almonds. The first time when my husband and I dined there, we had millefeuille of eggplant and mozzarella on a sherry tomato sauce as well as crayfish salad with avocado and olive oil lemon dressing for starters. 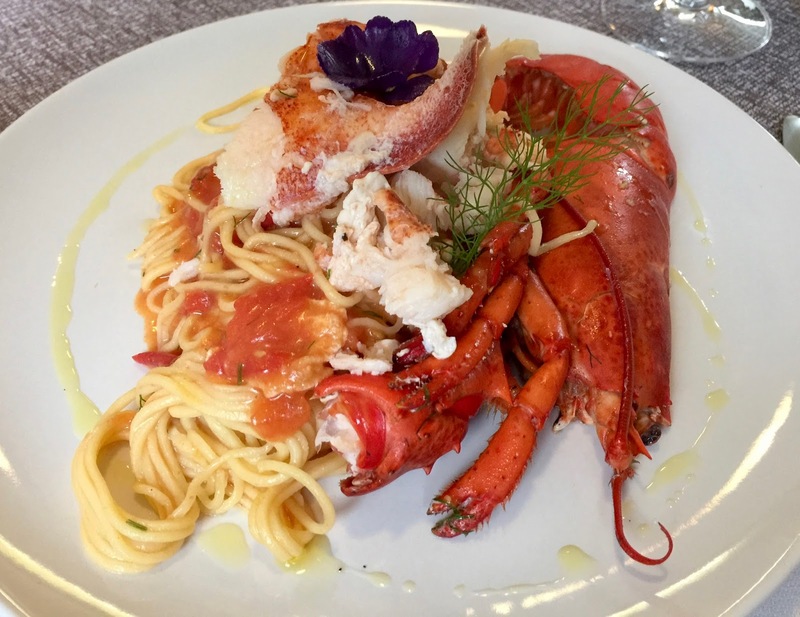 As a main we went for the special pasta of the day, lobster spaghetti. For desserts we ordered cheesecake and panna cotta. Every dish was perfectly prepared, nicely presented and a treat! When we returned some one and a half months later, we had a Caprese salad and again the crayfish salad. This time, both salads were served without dressing so that we had to season them ourselves with olive oil and Balsamic vinegar. In addition, the crayfish was replaced with shrimps without telling us so. As main dishes we chose both fresh pasta, once the special of the day, tagliatelle with shrimps and zucchetti, the other tagliatelle with pesto and pecorino cheese. These were followed by a tiramisu and a zabaglione with vanilla ice. Again, everything was tasty, but somehow we had mixed feelings, especially about the incident with the starters. As mentioned at the beginning, the restaurant is small, there are only a few dishes. Some renovation was done on the interior, probably with modest resources, but it all looks neat. The exterior, where we ate the second time, is a different issue. The tables are nicely set, but the outdoor furniture is not a recent acquisition and the garden is rather unkempt. We visited Karma both times on a Sunday evening. While there were guests at another table the first time, we were on our own when returning. We only met one member of the restaurant’s staff, a younger Italian with limited Swiss-German knowledge, who served us. He was cordial and competent. When it comes to prices, dining at Karma is not exactly a bargain, but I consider the price level as adequate for the offered. Since our second visit in mid-July, I have been on the lookout for news about Karma. 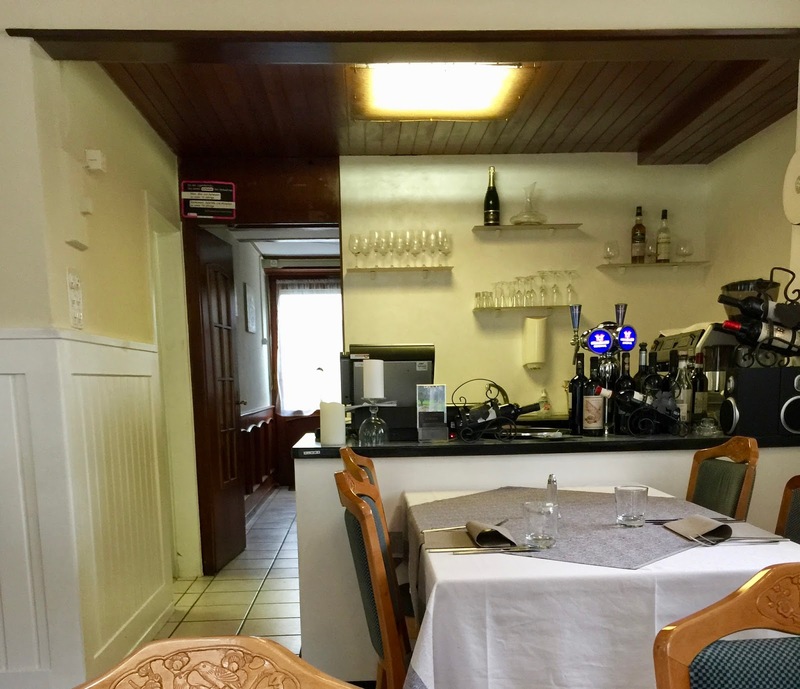 There was a TripAdvisor review about the restaurant being closed unexpected and looking a bit abandoned. On the restaurant’s Facebook page there are neither new posts of the owner nor recent reviews of guests. I do not know what to think of it. I sincerely hope that this does not mean bad karma because the place has potential for success!